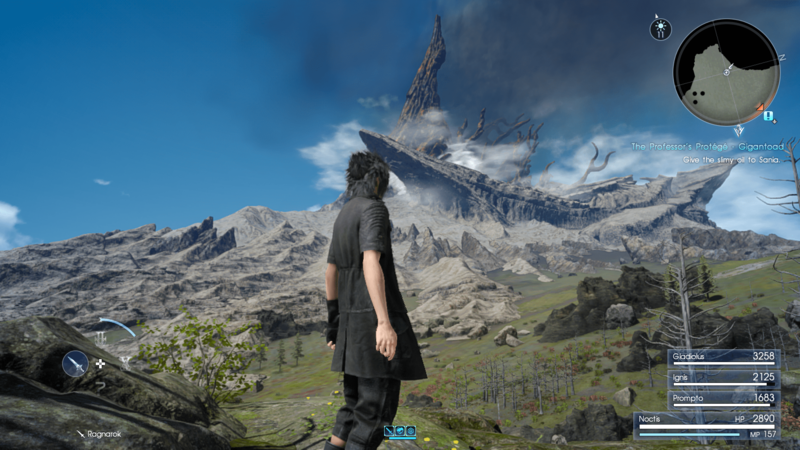 Final Fantasy XV is rapidly approaching its first year anniversary, but that hasn’t prevented Square Enix from releasing more and more content under the umbrella that is the Final Fantasy FFXV Universe. So far the list is impressive in size, if not necessarily in quality. There’s a feature film, an anime series, mobile games, and even a novel. There’s pretty much something for everyone, which after all seems to be Square’s goal. It may be hard to keep up with everything that is happening in Eos, but we’ve got you covered. Below is everything that has been announced for the game, when it comes out and what to expect. First up is a festival that launches by the end of the week. Through the end of January, fans can experience a mashup between two massive video game franchises. As revealed in a post on the Ubiblog before the launch, the DLC includes outfits and activities and allows players to “explore more like an Assassin and even use some of the Assassins’ more well-known abilities.” We saw this festival style content previously with the Moogle Carnival that had it’s own outfits, mini games but took place in Altissia. The Assassin’s Festival is a free DLC located in the city of Lestallum. 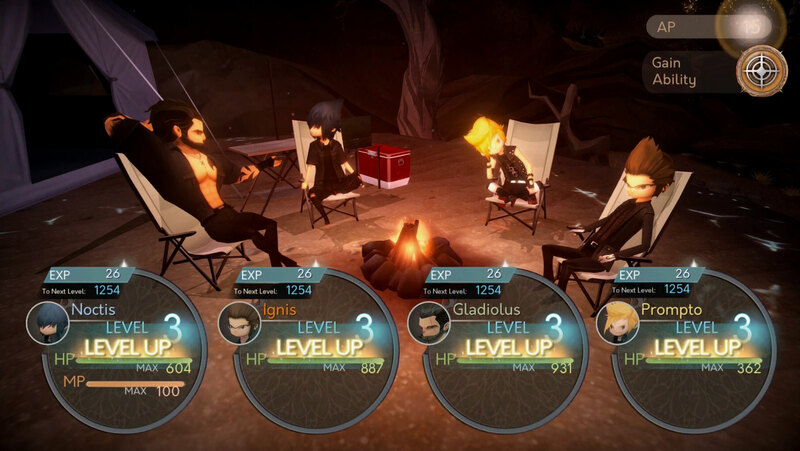 Final Fantasy XV Pocket Edition will take the entire console story mobile. Perhaps one of the most major announcements on this list is the plan to transform the entire base game into a mobile version, complete with chibi graphics. According to the website description, Pocket Edition will contain all the “main” characters and “main” story of the console version—that’s the entire 30- to 90-hour game (depending on how dedicated you are to those side quests) on a phone. Pocket Edition will release to iOS, Android, and Windows 10 sometime this fall. The first episode will be free at launch. The Comrades expansion adds multiplayer gameplay to FFXV. This isn’t the only game on the list that will allow players to put themselves in the world, but it is the first in which they can make their own avatars. Then, as is standard with multiplayer, players will join teams to complete objectives. There have been a couple rounds of closed beta, and the release date is broadly put as 2017. Not wanting to be left out of the virtual-reality loop, Square Enix announced its very own foray at E3 2017. Monster of the Deep is a VR fishing game in which players will get to be one of the gang and chase after the biggest fish. We got Gladio in March and Prompto in June, and in December we’ll finally get to play as the bespectacled chef in Episode Ignis. We don’t get much to go on from the brief trailer, but it’s a pretty safe bet that the story will take place when the guys are separated in Chapter 9. On average, these episodes play for about one to two hours. It’s been a long time coming, but PC gamers could finally breathe a sigh of relief with the announcement of the Windows edition of FFXV. This release will have 4K high-resolution textures and Dolby surround-sound capability. What sounds especially interesting, though, is the presence of Nvidia realistic grass simulation; advanced hair simulation; combustible fluid, fire, and smoke simulation; advanced shadow algorithms; high-quality ambient occlusion; and versatile screenshot captures. Sounds fancy. We’ll also get first-person view which looks pretty cool with all of the royal arms. This likely isn’t all that we’ll see released under the FFXV Universe, especially since we haven’t heard any official word about FFXVI. Square Enix seems determined to reach absolutely every potential audience member for the game, and if a VR fishing game isn’t going to reel them in, they’ll probably keep casting.